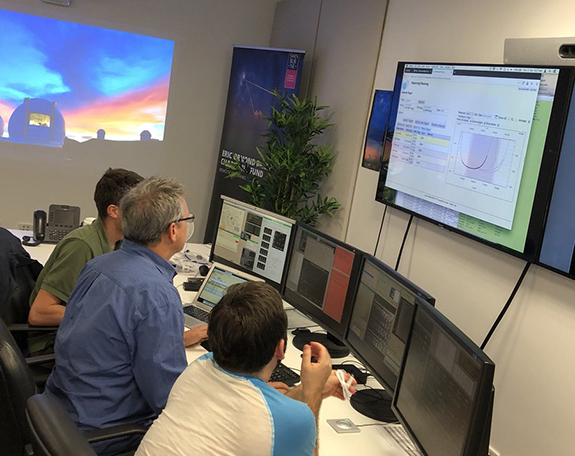 World-class facility enables researchers to remotely control the twin Keck Observatory telescopes in Hawaii from Hawthorn. Swinburne researchers have access to the observatory for up to 10 nights a year. The facility is partially funded through a donation from the Eric Ormond Baker Charitable fund. This world-class facility enables researchers and astronomy students to remotely control the twin Keck Observatory telescopes – the world’s most scientifically productive optical and infrared telescopes – based in Hawaii. The monster galaxy that grew up too fast. New method solves 40 year-old mystery on the size of shadowy galaxies. New spin on star forming galaxies. The detection of superluminous supernovae.